Part of the fun of fiction is escaping the constraints of normality. Although readers value consistency and authenticity in the worlds we construct, we have to be careful not to allow these concerns to squelch our creativity. 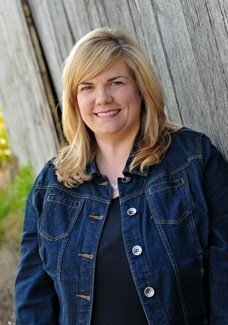 This week’s guest blogger Caroline Fardig offers advice on walking that tightrope, drawn from her experience as an author of both cozy and forensic procedural mysteries. Believability—How Much Can We Stretch Reality and Get Away With It? My agent, Ethan Ellenberg, once told me that if you can get the reader sucked into a good story, it’s okay for believability to take a backseat. I agree wholeheartedly, and in my writing I’m always stretching the limits of what “real” people would actually do in a given situation. That said, you can’t exactly introduce a family of sparkly, angsty vampires into your psychological thriller and expect your readers to go along with it. Yes, writing fiction gives us certain liberties, but you still have to play by the rules of your genre. In any genre, you want to create characters who come to life for your readers. They should have faults as well as redeeming qualities, and you can exaggerate those traits, but only up to a certain point. For example, maybe your main character is a curmudgeonly, hard-nosed cop, never passing a chance to offer up a gruff comment or a fiery retort. You can play that to the hilt. However, he has to have a softer side; otherwise, he won’t seem real (or likeable). Humans are complex, and characters with layers to their personalities are much more lifelike than one-dimensional caricatures, and thus believable. If your character seems dependable and real, you can stretch the boundaries of what they are able to do, like when the fate of the world hangs in the balance and only one person has the power to save it. With mysteries, it depends on your specific genre as to how much of a stickler you need to be for accurate investigational procedure and forensics. In cozies, you’re never going to have a decomposing body lying in a pool of bodily waste with blowflies circling it. It’s just not done. On the flip side, in a more hard-boiled detective novel, you’re not going to find dead Aunt Martha posed peacefully in her favorite chair and still smelling like roses after being dead for a day or two. Case in point, in my upcoming humorous cozy, Mug Shot, the heroine lands herself in jail for a minor infraction. She’s thrown in the drunk tank, which is co-ed, and hilarity ensues. Do men and women ever get locked up together in the same cell in real life? Not likely. But when I asked my friend Rick Reed (a detective-turned-author and yearly Killer Nashville presenter) if he thought it was too unbelievable, he said I should go for it. Rick assured me that it wasn’t too terribly far-fetched for a cozy and it sounded like a fun scene. Would I do the same thing in the forensic procedural I’m currently writing? Heck, no! In fact, I am so intent that my grittier mystery series is believable, I’ve taken two criminology classes at my local college. My forensics professor also works as a firearms and tool mark specialist for the Indiana State Police Crime Lab, so for one of the class sessions, we got to tour the local lab facility and speak with all of the criminologists on staff. Both classes had a lot of guest speakers, so I was able to make connections with law enforcement officials who have been more than willing to answer my questions and explain the ins and outs of crime solving. Did I go that far in researching for my cozies? Again… heck, no! In preparing to write my cozy Java Jive series (Death Before Decaf and Mug Shot), the most rigorous “research” I did was going on a couple of weekend trips to check out coffeehouses in Nashville. Don’t scoff too much at that, though. If you’re writing a story based in a real area, you need to actually go to the area and get a feel for the place. I’ve either walked or driven down nearly every street in the Midtown area of Nashville, which is just south of downtown between the campuses of Vanderbilt and Belmont Universities, because I want the setting to be as true-to-life as possible, even if the situations the characters get themselves into are not! If you’ve followed all the rules and are still worried that something doesn’t quite sound believable, fess up to it! At the end of Joyland, Stephen King admits to making up some of the carny slang he uses throughout the book. He basically said that we readers should get over it, and he very kindly let us know we could save our hate mail, because after all … it’s FICTION! 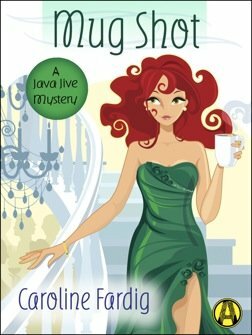 Caroline Fardig is the author of the Java Jive Mysteries series and the Lizzie Hart Mysteries series. Suspense Magazine recently named Fardig’s Bad Medicine as one of the Best Books of 2015. She worked as a schoolteacher, church organist, insurance agent, funeral parlor associate, and stay-at-home mom before she realized that she wanted to be a writer when she grew up. Born and raised in a small town in Indiana, Fardig still lives in that same town with an understanding husband, two sweet kids, two energetic dogs, and one malevolent cat. Find Caroline on the web at www.carolinefardig.com.